But here’s the thing: people well educated in U.S. history should already be familiar with fake news and how to assess it. In fact, having a grasp of history is central to understanding the current crisis. When we understand how fake news is integral to the American political tradition—how everything from conspiracy theories to outright lying to deceitful inference has been used at both the fringes and in the mainstream across U.S. history—we can put current events in their proper context and help generate a reasoned, level-headed response. With that in mind, we present an example of fake news in U.S. history by John Hill, Professor Emeritus of Politics and History at Curry College and author of Democracy, Equality, and Justice: John Adams, Adam Smith, and Political Economy. “Fake news”—or, as it used to be called, spin or propaganda—is all the rage. But failing to expose it for what it is can have serious consequences for democracy. Take, for example, a campaign scare tactic used in the 1800 Presidential election, one of the dirtiest elections in U.S. history and one that reshaped our political system, with consequences reaching all the way to today. Our second President, John Adams, served only one term. Federalist Party leader Alexander Hamilton quite possibly deprived Adams of a second term—Hamilton didn’t trust Adams, who claimed to be a Federalist but thought the President should be above party. But Hamilton probably had less impact on the result than the Jeffersonian tarring of Adams with the brush of aristocracy. Some even claimed that he wanted to establish himself as monarch, so that his son John Quincy Adams could inherit the throne. This was fake news. 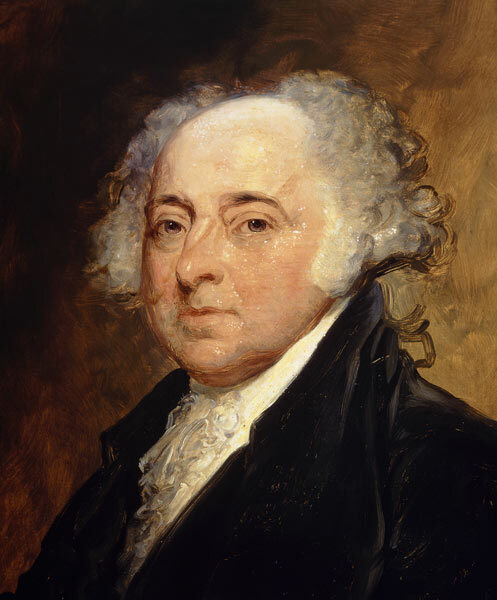 John Adams, the “Atlas of American Independence” according to delegates to the Continental Congress, was consistently a supporter of democracy from the beginning of his political consciousness. But Adams did two things that gave Americans reason to question whether his long sojourn in Europe as a U.S. diplomat had changed the stalwart democrat into a believer in aristocracy—and gave supporters of Jefferson the ammunition they needed to spread false rumors. First was his publication A Defence of the Constitutions of Government of the United States of America (1787), second were his actions as Vice President, especially with regard to the “titles” controversy. 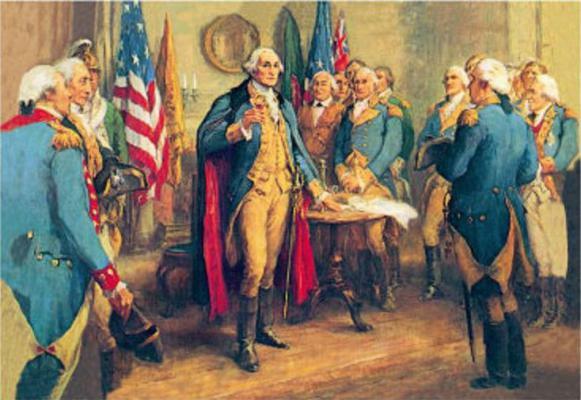 In Defence of the Constitutions Adams argued that the new American democracy would be subject to the same strife among the One (Monarchy), the Few (Aristocracy), and the Many (Democracy) that had affected democratic republics since the ancient Greeks. Among other reasons for writing Defence, he was trying to warn Americans that, without a strong President to counter the Few, the new democracy would succumb to aristocratic rule. He came to this conclusion through extensive reading in the histories of multiple democratic republics, often small city-states. His argument fell on deaf ears for several reasons. One, it conflicted with a core American belief: United States exceptionalism. His use of the ancient division of governments into the One, the Few, and the Many was easily distorted into anti-democratic advocacy. He used the term “aristocracy” because his book was written for both Europeans and Americans; Europeans understood it, but Americans misconstrued the general term for elites as advocating imposing the old world system of inherited titles. Adams’s reading of history was that democracies often succumbed to the aristocratic quest for power. Democracies with a strong executive (the One) aligning with the Many were often able to resist aristocratic schemes. (But he also knew that throughout history the monarch often colluded with the aristocrats against the Many.) He thought that the only chance for the nascent United States republic to survive was to have a strong executive. Based on this belief, he made a major political blunder as Vice President. President Washington and the Senate struggled to find the best formal term for addressing the President. Adams used his position in the Senate to advocate titles such as ”His Most Benign Highness” and “His Majesty, the President.” At first, Washington and the Senate agreed but the political tide turned, and Adams did not, resulting in the gag rule for Vice Presidents presiding over the Senate. He feared that without such titles most Americans would devote their lives to private concerns, would not have enough incentive to serve as government leaders. How would the wily aristocrats be counter-balanced if government service were not made attractive? Based on these two issues, Adams’s supposed advocacy of aristocracy was used mercilessly against him in the election of 1800. Jeffersonian leaders, themselves American aristocrats, cynically distorted Adams’s ideas. A few years later, they told John Quincy Adams that they knew his father was not, in actuality, against democracy. Jefferson himself didn’t spread this canard; presidential candidates at that time did not campaign, leaving the dirty work to others. But it should be noted that Adams wrote Jefferson asking him to specify where in his writings he had advocated aristocracy. Jefferson never responded to this request. Both the Jeffersonians and the Federalists feared that the other party would destroy American democracy. Jeffersonians mistakenly thought they preserved it with their victory in 1800. But neither the Jeffersonians nor the Hamiltonians understood the danger that the prescient John Adams saw: American democracy succumbing to rule by the few, also known as the 1%. Thus they did not inoculate our young democracy against the aristocrats, nor did later leaders understand the danger. Today, for many reasons, we have a deeply entrenched group of political and economic elites with outsized influence. Many people still do not understand what Adams so deeply feared. Dr. Hill’s message is well taken. Unfortunately, people sometimes misrepresent the word of others to serve their own ends. Dr. Hill, Thank you for this historical perspective. History keeps informing us that man has made little or no advance in ethical, empathic or caring behaviors. I believe the word you are looking for is “politics”, what you have described is simply politics; as shameful as that sounds. Unfortunately, in Adam’s time, as well as our own, personal and professional ethics of politicians are always suspect. It is this very example, even in today’s society, of why Americans do not trust their political leaders, regardless of what side of the isle they sit. I alway’s enjoy coming back to the writing’s of Dr. Hill to get historical connection to the modern day. It reminds me that the intentions of people like Adams were rooted in something pure and good. And yet, in the battle for the advancement of one’s ideas many humans will stop at nothing to tear down one another. 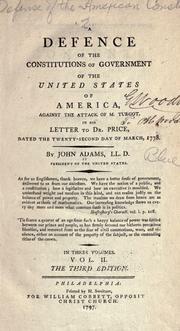 I wish there was a little more regard for Adams in our modern political system over the canonization of Jefferson. Imagine what a John Adams musical would be like! This is an absorbing brief exposition, and I look forward to more. I’m a librarian, and often feel stymied by the notion that “fake news” is a phenomenon that only arose in the digital age. Sometimes I wonder if the phrase itself is a “fake concept” if people take it as something exceptional in our time. Paul Schwab: as a side note, are you familiar with the musical 1776? Adams is the central figure. David, I am not familiar with it. I’ll have to check it out. Thanks for the tip. It does help to see a historical perspective to current events. But it is also somewhat depressing to think that we have learned nothing from history. As much as Jefferson contributed to our country I have long ago lost respect for him, probably starting with reading McCullough’s book on Adams, but deepening with additional information over the years. I always feel sadness that Adams was so misunderstood, and still so neglected as one of our most important founders. That same sadness exists now as I watch good men and women, who to me are the true statesmen, so maligned and that maligning believed by the populace. Man, this went on when Sophocles existed, Adams, now, and forever. Man always wants the power even if he denies it.